The Midget & Sprite Club (MASC) was formed in October 1983 by a group of Midget and Sprite enthusiasts and has gone from strength to strength since then. Today the club welcomes owners and fans of all MG Midgets and Austin Healey Sprites from the original 1958 Austin Healey ‘Frogeye’ Sprite through to the last 1979 rubber bumpered MG Midget 1500 and all the many derivatives along the way. and serious racing cars. Whatever your interest you will find like minded Spridget fans in the club. Club activities are based around local area groups with over 20 currently active around the country. 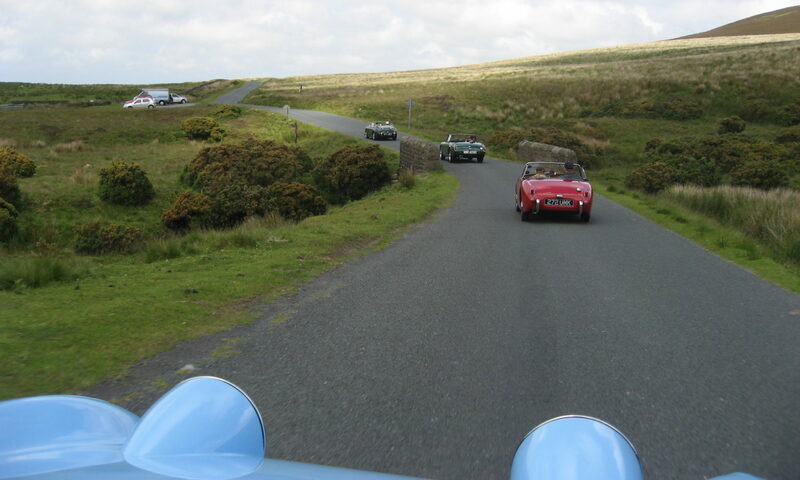 Each area runs its own activities with nearly all having a regular monthly meeting where members can talk about and show off their cars, enjoy a drive out through our countryside or just catch up with friends. You will find details of the area group nearest you in the regional area. All areas welcome new members and if you fancy popping along to a meeting before you have joined the club you will be made very welcome. You can find details of the meetings and club activities here. If you choose to join the club you will receive a pack containing a membership card, a club windscreen sticker, a tax disc holder for your car and a copy of the latest monthly club magazine, Mascot. The clubs award winning monthly magazine will keep you in touch with activities across the club and is filled with interesting articles about the history of our cars, technical articles about how to keep them on the road and club activities.